The holiday season is upon us. In just a few short weeks people around the world will be celebrating with friends and family by partaking in food, festivities, gifts and their favorite holiday traditions. Growing up in rural Kentucky, one of the most magical Christmas moments was settling in with my parents and brother to watch Norad track Santa Claus as he made his way from the North Pole to begin his journey across the Globe. For more than 60 years, Norad (North American Aerospace Defense Command) has kept tabs on the Jolly Old Elf much to the delight of countless children on Christmas Eve. Google has gotten in on tailing Santa in the past few years. In 2004 the search giant implemented St. Nick tracking via the Keyhole Earth Viewer (now Google Earth). From there they have gone on to create Santa’s Village, an interactive wonderland where people of all ages can play games that are added daily in the tradition of the Advent calendar. The Santa Tracker site, however, offers up much more than just meaningless entertainment. You can learn about holiday traditions, learn to speak a new language with a Christmas themed Google translator or even do some simple block coding. Each day you will be greeted with a new game, task or interactive educational tool. If you’re using the Chrome browser or a Chrome OS device, Google has added even more fun ways to keep tabs on Santa this year. 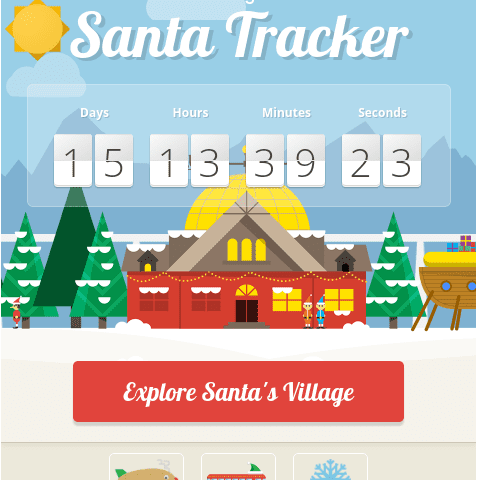 The Google Santa Tracker Extension brings a countdown clock to your browser and gives you a direct link to Santa’s Village. You can even “frost” your desktop and draw with your cursor. 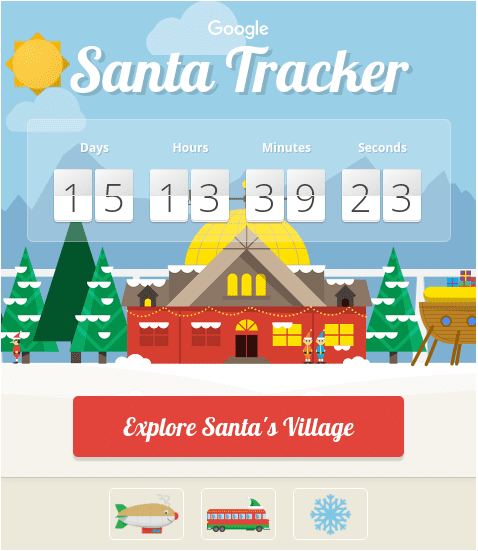 Santa’s Village and the Chrome extension are certainly entertaining but more than that they can be educational. For me and my family this may become our new holiday tradition. You can find the extension in the Chrome Web Store at the link below.